Companies enrolled in the Corporate Rewards program can now get more savings when flying across the Air Canada network. 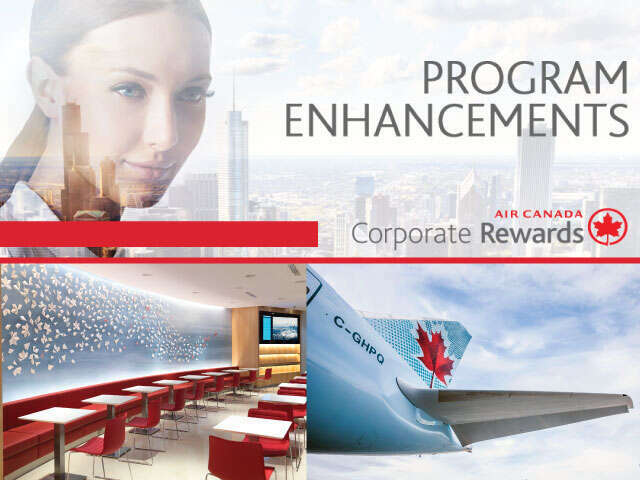 Air Canada is very excited to share with you that they recently announced enhancements to the Air Canada Corporate Rewards Program. Effective immediately, the program has been expanded to include savings on United Airlines flights within North-America, All Nippon, Air New Zealand and Avianca. This is in addition to flights currently offered by Air Canada and the Lufthansa Group. The Air Canada team has performed various test and we can confirm that any qualifying reservations made through UNIGLOBE Travel will automatically be offered under the Air Canada Rewards Program for the airlines and routings listed below. Please note clients using the Concur online booking tool can book these discounts online. These program expansions are effective July 11, 2016, when booking your company’s business travel through UNIGLOBE Travel and the Air Canada Corporate Rewards program. Flights marketed by Air Canada and operated by Air Canada, Air Canada Express™ or Air Canada Rouge™. Note: Air Canada must operate trans-Pacific flight. Note: Air Canada must operate flight to/from Rio de Janeiro (GIG) or São Paulo (GRU) international airports in Brazil. United Airlines® and United Express® Between Canada and the U.S.
* The Lufthansa Group carriers includes: Lufthansa, Austrian Airlines, Brussels Airlines and SWISS. Refer to below section for full offer details. Discounts* are offered on flights marketed and operated by the Lufthansa Group carriers for travel between Canada and Europe, the Middle East, Africa and India. * The Lufthansa Group includes: Lufthansa, Austrian Airlines, Brussels Airlines and SWISS. Discounts on Lufthansa Group carrier flights are available only to Canadian corporations or U.S. corporations whose travel is managed by a Canadian travel agency; in addition, they are not available for flights originating in the U.S. Discounts do not apply to Tango fares or equivalent Lufthansa Group fares. Russia: Discount applies only to flights departing from Canada.